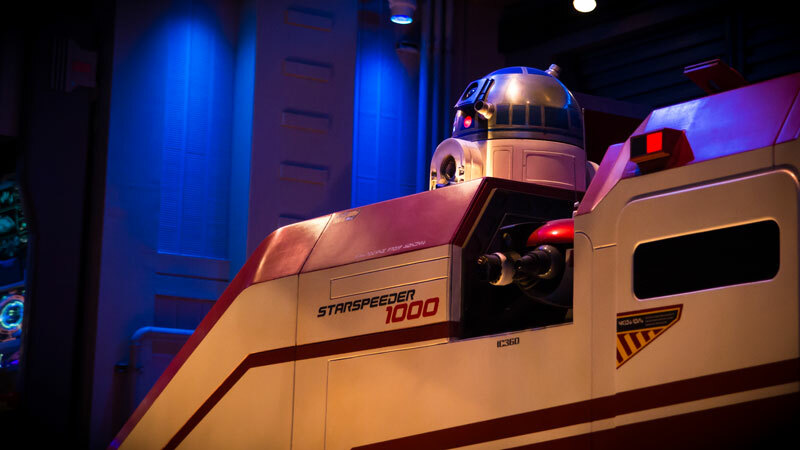 While we are just 24 days away from the next installment of the Star Wars saga, it’s time to whet your Wookiee-sized appetite with Star Tours news! There have been some pretty massive updates to our current favorite attraction that takes place in a Galaxy Far, Far Away. 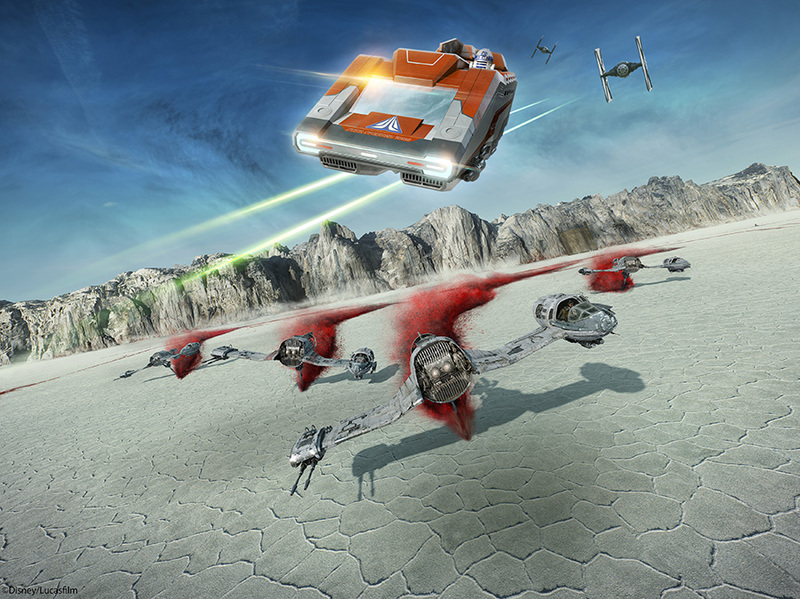 Star Tours just reopened with a bunch of new updates, including a scene from the upcoming The Last Jedi, new details about the planet from Star Wars: Galaxy’s Edge, and new continuity rules for the attraction. Want to find out more? Artoo, lightspeed to Endor! In addition to adding a few new scenes for the upcoming release of The Last Jedi, Star Tours has reorganized its timelines for a better sense of continuity. First up, Star Tours will no longer mixup timelines and will divide itself into two different experiences at a future date. One experience will feature scenes / characters from Episodes 1-6 (Phantom Menace through Return of the Jedi), while the other will only feature scenes from Episode 7, 8 and onward. This means that the timelines are a little bit neater, as you’ll no longer see Darth Vader in the first scene and then see Finn (a character born after Vader had died) in the second scene on Jakku. While mixing locations from Episodes 1-6 still has a little bit of timeline fuzziness, this is definitely much better for Star Wars purists, and shows that Disney is taking the Star Wars storytelling inside the parks a bit more seriously ahead of the opening of Galaxy’s Edge. At some point in the future, you’ll be able to choose if you will experience the Episodes 1-6 version or the Episodes 7-8 version. Speaking of, what does the newer version of Star Tours look like? The opening scenes with Darth Vader or Imperial Stormtroopers has been replaced with a scene featuring an encounter with Kylo Ren or First Order Stormtroopers. Then you fly to Jakku from The Force Awakens. Then C-3PO will get a transmission from BB-8, Maz Kanata, or Poe Dameron. Then your Starspeeder will make its way to Crait, a new planet from The Last Jedi. Finally, your crew will make one last jump to hyperspace, taking you to the planet from Star Wars: Galaxy’s Edge. That’s right, the final scene in the new Star Tours experience ties into the new Star Wars land that Disney is building at Disneyland and Disney’s Hollywood Studios (More on that in a bit). While it’s always great to see new Star Wars stuff at Disney World, I’m particularly excited because this might show that Star Tours is safe as an attraction. 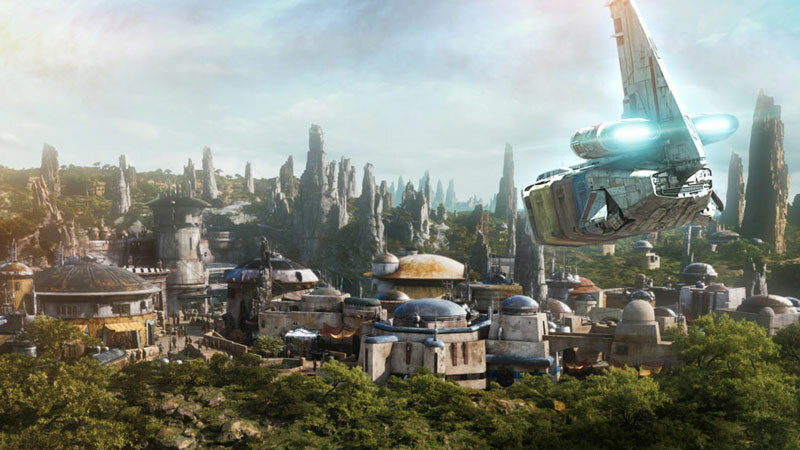 Since Disney has announced Star Wars Land in 2015, there has been a lot of speculation about the future of Star Tours, whether it would be moved or closed once Galaxy’s Edge reopened. These new scenes show an investment in this attraction that wouldn’t make sense if they were planning on closing it in 2019. I could be wrong about it, but I’m just keeping my fingers crossed that Star Tours can stick around for the foreseeable future. Is it 2019 yet? Is it December 15 yet? Okay, fine, I’ll just rewatch Rogue One for the fifteenth time. ← Disney World Announces New Savings To Ring In The New Year!